This is by far the easiest / best way to shop with a toddler. No awkwardly heavy car seats shifting from arm to arm and no huge strollers running into display racks. Absolutely! We’re big fans of baby carrying. Not sure that we’ve ever really used a stroller. My back definitely needs to get a little stronger, that’s for sure! 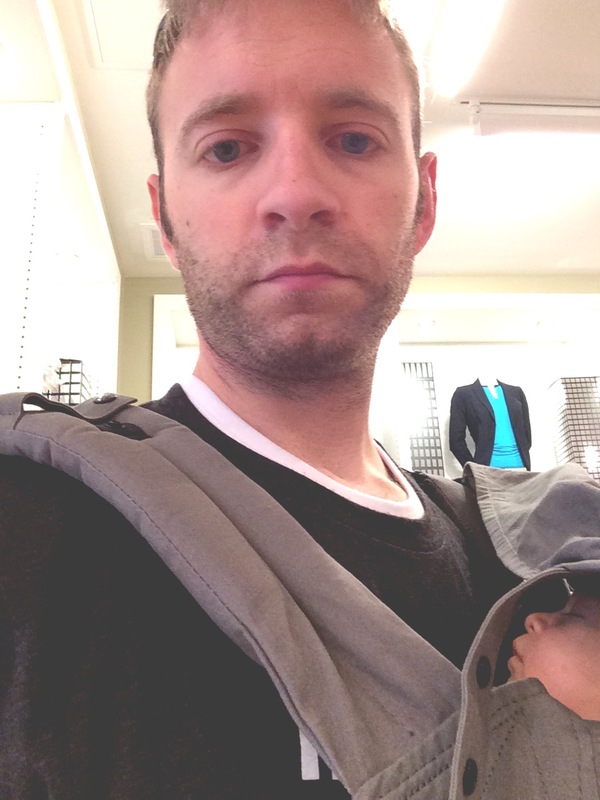 We used our Ergobaby carrier quite a bit the first few months.